As a director, the two best compliments I receive are : “you are nothing like that last film crew we had in here” and “you made me feel so comfortable”. 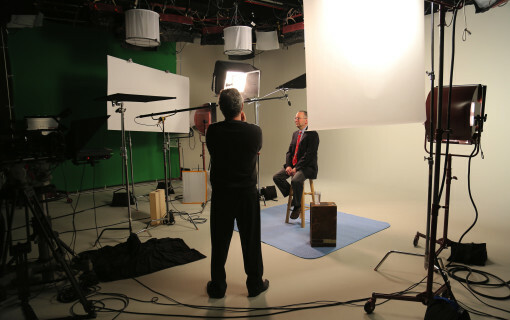 1) Documentary style: Though I have spent most of my time in the corporate arena as a director. I have found I love working with an outline or concept more than a set script. I find the interviews and broll I gather, tell a much richer story than any script can. It is the documentary approach that enables “discovery” of the story. 2) Technical Ability: Having been involved with equipment all my career, I know what the gear can and can’t do. Is our equipment package over kill or under kill? I know workflow. Are you cutting cost on production only to pay triple the amount fixing it in Post? 3) Experience: I worked my way up through crew positions in this industry so I know how a good crew works and most importantly how to effectively communicate with them. The production process can be a complex beast with the logistics involved, the politics involved, budgets and deadlines. I try to simplify it by understanding all these aspects and putting them into a perspective my clients can understand.